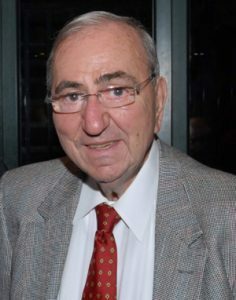 KEASBEY, N.J. — Wakefern Food Corp. and ShopRite are mourning the loss of James Nicholas Sumas, the longtime patriarch of Village Super Market Inc., which owns and operates 30 ShopRite supermarkets in New Jersey, Pennsylvania, New York and Maryland. Sumas died Saturday in his hometown of Morristown, N.J. He was 84. In addition to helping turn his family’s neighborhood grocery store into a company with 30 ShopRite supermarkets, Sumas also played a key role at Wakefern by helping guide the cooperative during its early, formative years, according to the company. Sumas was a trusted advisor who served on numerous committees and was generous with his time in mentoring and nurturing other members of the cooperative. He became Wakefern’s Grocery committee chairman in 1957 and served in that role for nearly 60 years. Sumas also served as vice chairman of Wakefern and was a member of its Board of Directors for over 30 years. In addition, he served as chairman of Wakefern’s Advertising committee and vice chairman of Wakefern’s Sales and Merchandising committee and of ShopRite Supermarkets Inc. He was also a member of Wakefern’s Trade Name and Trademark, Strategic Planning and Customer Satisfaction committees. Jimmy was born in Newark, New Jersey on Oct. 24, 1933. He was the first son to Greek immigrants Nicholas and Athena Sumas. He got his start in the supermarket industry while working in his father Nick and Uncle Perry’s market in South Orange while in high school. After college and a two-year stint the in the U.S. Army, Sumas in 1957 returned to the family business, which a decade earlier had joined the then new supermarket cooperative Wakefern. That family business, Village Super Market, opened its 30th ShopRite store (and the first ShopRite in the Bronx) late last month. Sumas was elected Village’s chairman in 1989 and its CEO in 2002. He served as vice president, treasurer and a director of the company since its incorporation in 1955.